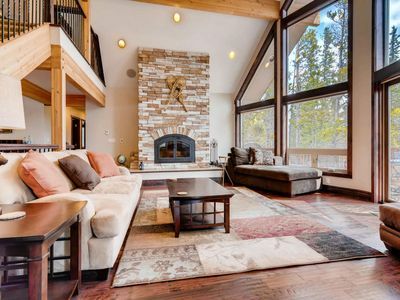 Set 25 miles outside of Breckenridge, this 3-bedroom, 2-bath Fairplay vacation rental for 10 offers scenery, solitude and mountain views for miles! 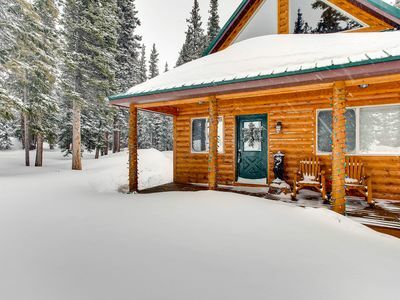 Enjoy all of your favorite outdoor activities, including skiing, fly fishing, hiking and mountain biking, a quick trip away, along with a quiet, rugged respite to call home. 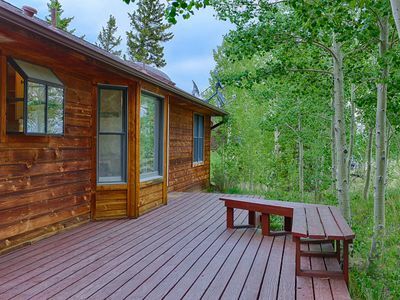 For a change of scenery, drive 40 miles up toward Copper Mountain or 32 miles to the Dillon Reservoir. 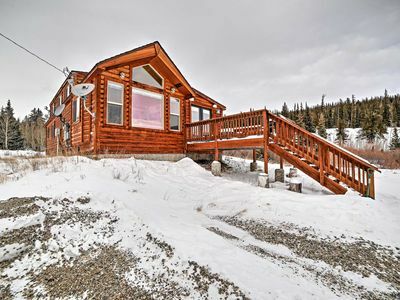 The mountains are calling, and your adventure begins here! 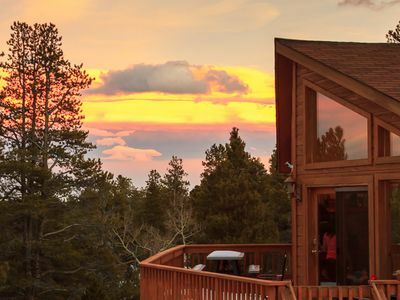 Million-dollar mountain views and a profusion of pine trees set the scene for your Colorado escape. 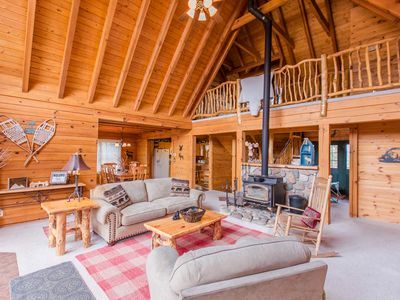 The second-story balcony is the perfect spot to take it all in. Breathe in the fresh alpine air as you look out over snow-capped peaks and prepare for the powder day ahead! 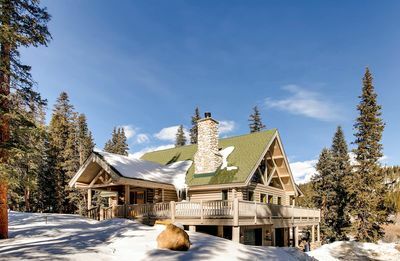 See what après-ski activities are happening around town, or head home to host your own inside 1,800 square feet of lodge-like living space. 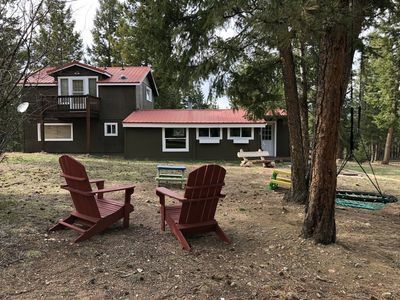 Watch a movie on the flat-screen TV, complete with a DVD player, or simply sit back, relax and enjoy the sweeping mountain scenery showcased by the large picture windows. 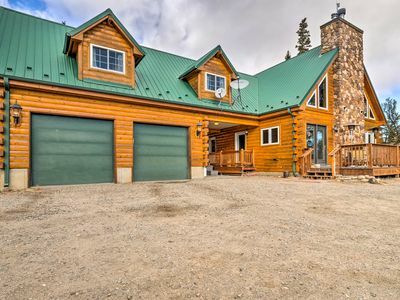 Refuel the group with a hearty homemade meal prepared in the fully equipped kitchen, or fire up the gas grill to spice things up. If you’re too tired to cook, drive 7 miles into town and dine out at a local spot on Main Street. 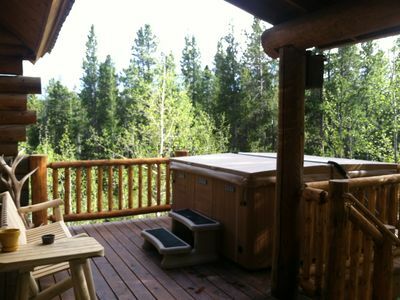 Evenings are best spent out on the balcony, where wildlife serves as your only nearby neighbor. When it’s time to turn in, tuck the kids into the full-over-full bunk bed before curling up in the queen bed in the master bedroom. 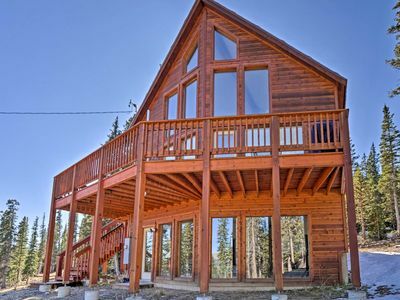 Only 30 minutes from the heart of Breckenridge, this vacation rental offers that classic cabin-in-the-woods feel, while still being close to all kinds of outdoor opportunities. 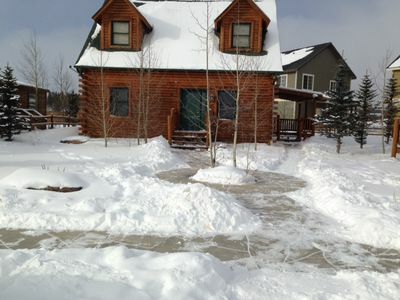 In the winter, take the kids sledding right here at the property or head up to the resort for ski lessons and an afternoon on the slopes. 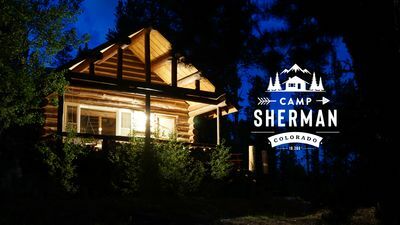 In the warmer months, the area attracts hikers and mountain bikers alike for epic trail experiences. 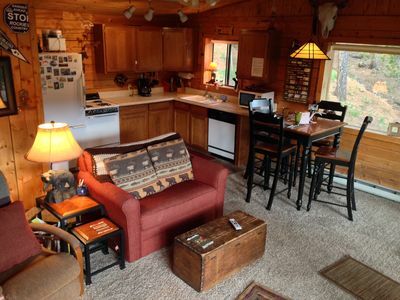 There’s also fly fishing and hunting nearby! 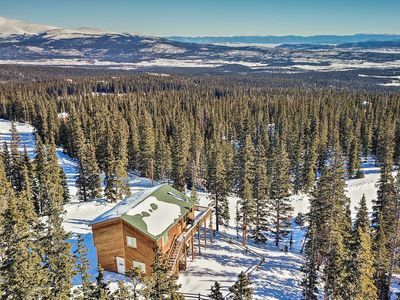 Should you need a change of venue, Copper Mountain, Keystone and Frisco are all within an hour and a half of your mountain home. Find all of your shopping and dining needs in the quaint town of Fairplay, a quick 10-minute trip away. 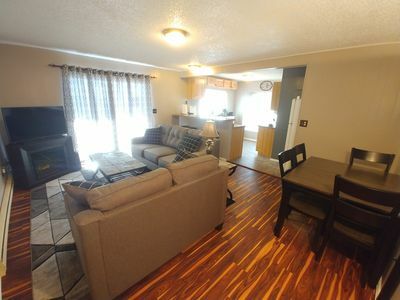 From comfort to convenience, this vacation rental has it all! 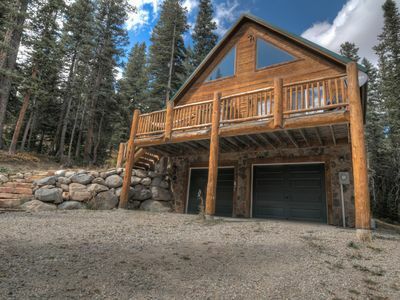 Fabulous Home Backs To Pike National Forest! 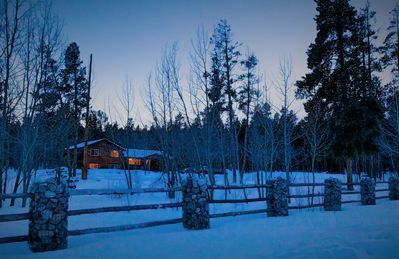 Deer Creek Cabin - a Log Cabin in the Rockies of Colorado! 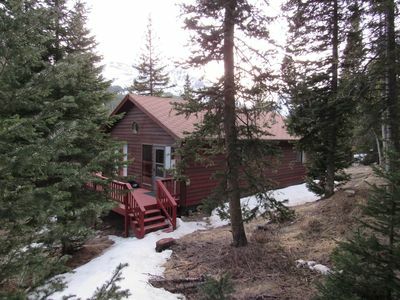 Cabin in the town depicted in the South Park TV show. 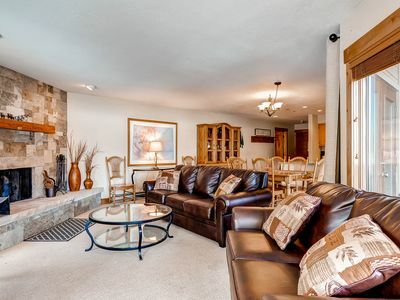 *Luxurious* Sleeps up to 6 No Cleaning Fees Kids Ski Free! 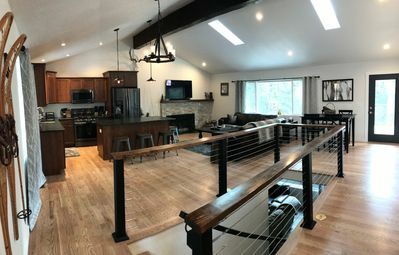 Updated Mountain Home with Beautiful Views!